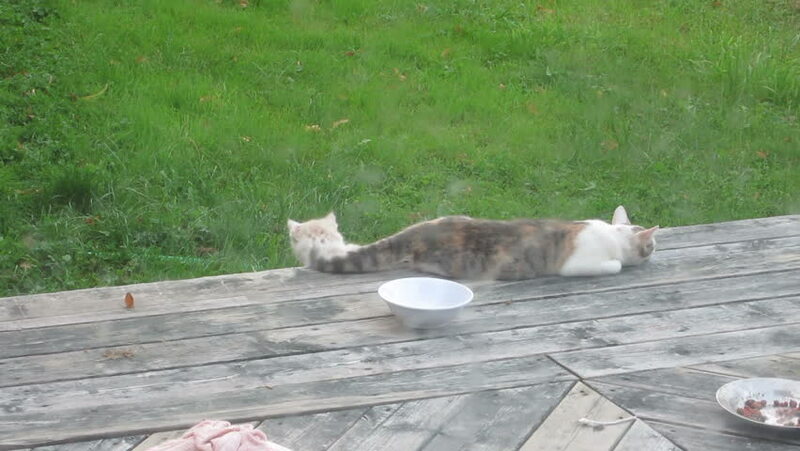 Eight to twelve week old feral kitten plays with her mother`s tail. hd00:06DOMZALE, SLOVENIA - 29. AUGUST 2015; JUNIOR AMATEUR PRACTICE A young man is jumping up in the air with his bicycle. He is having a training session.